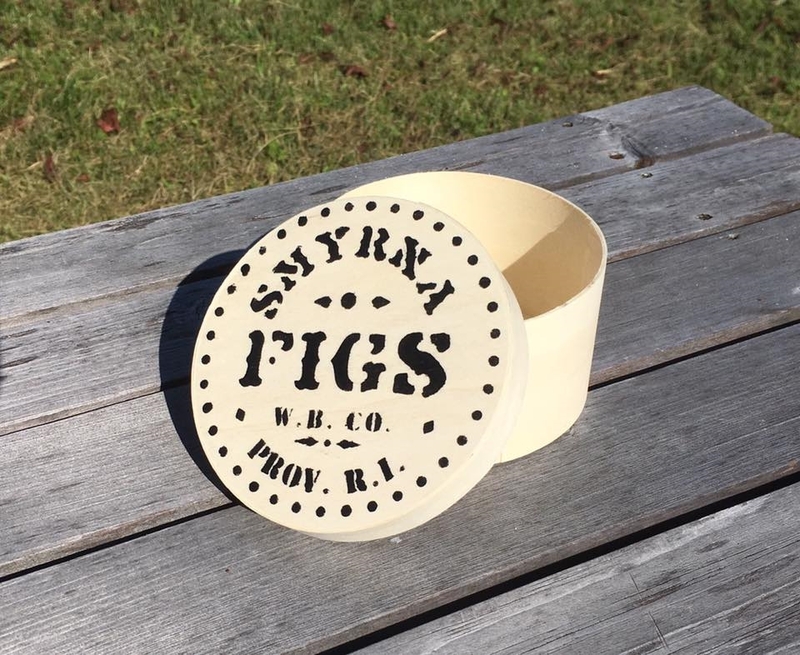 Bentwood fig boxes, part of our expanding line of mid 19th C. packaging. These boxes are made from basswood and measure approximately 4 1/4" across by 2 1/4" deep. 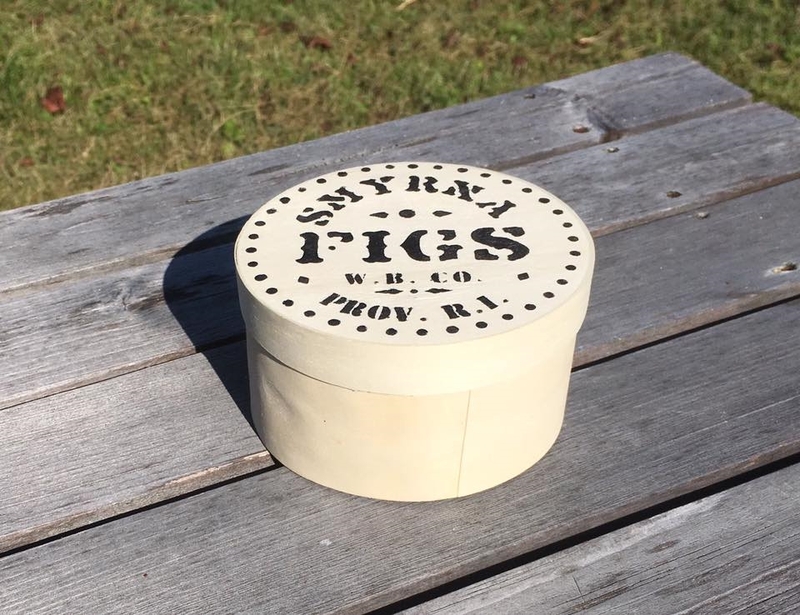 This was a common item on store shelves during the period that seldom survives today due to their disposable nature. Copied from an original.